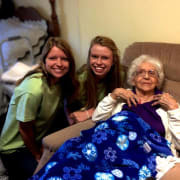 Visit with Hospice Patients in Tuscarawas County! Crossroads Hospice is looking for committed and caring individuals to add to our team of volunteers. Volunteers provide companionship and support for hospice patients and their families in nursing homes, assisted living facilities and their own private homes throughout Northeast Ohio. Individuals may read, play board games, talk, sing, or just share stories.